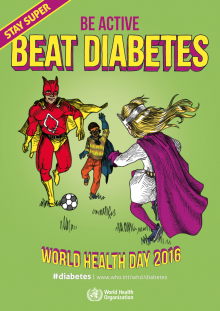 April 7 is World Health Day, and the World Health Organization (WHO) has named #diabetes the big public health challenge for 2016. What’s striking about this year’s World Health Day is the “Stay Super” public health ad campaign that WHO has developed featuring figures of super-people. THINK: Superman and Wonderwoman meet Doctors Welby, Kildare, and McDreamy. I’ve included several of the posters in the blog today to show how engaging health messaging works well when it works. The materials can be downloaded at this link. This week also saw the publication of America’s Health Rankings, spotlighting the impact of unhealthy behaviors. This research, commissioned by the UnitedHealth Foundation, dives into state-level data on five health behaviors: smoking, excessive drinking, insufficient sleep, physical inactivity, and obesity. The percent of college graduates 25 and older with multiple unhealthy behaviors is consistent across states, but the prevalence rate for multiple unhealthy behaviors among those who haven’t graduated from high school widely varies by state. Education clearly makes a big difference in positive health engagement, illustrated by the third exhibit. “Who are the 12%?” that have 3 or more unhealthy behaviors? 6 in 10 of these people have less than a college education, and 43% have an income less than $25,000. There are more males than females in this group, and they tend to be younger, 18-44. Geographically, the less healthy-living tend to live in the south and midwest. Healthiest living happens on the west coast and eastward toward and including Colorado. Health Populi’s Hot Points: Pointing to Type 2 Diabetes, the World Health Organization reminds us about the prime opportunity that health citizens have to positively impact and prevent non-communicable diseases — particularly diabetes and obesity, heart disease, and many cancers. We can all be SuperPeople if we are mindful, realizing that everyday choices impact long-term health. 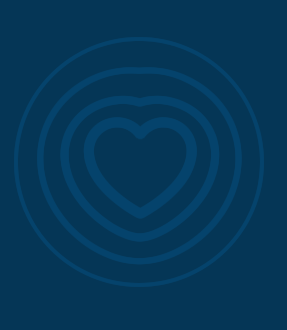 One motivation can be to model positive health behaviors for the people we love — our family, friends and community. Health is social, and the research of Christakis and Fowler have shown that one’s social connections directly impact personal health. In aggregate, that scales to public health, in our nuclear families, extended families, neighborhoods, schools, communities, and nations.